This morning we went for a drive to the Brookfield Pet and Produce Pavilion to fetch some chicken feed, we left first thing in the morning as it was hot and the munchkins were full of beans, we quite enjoy going to Brookfield it's only 10 minutes away, we drive through the forest and I quite enjoy sight seeing the beautiful homes and their gorgeous acres of land. 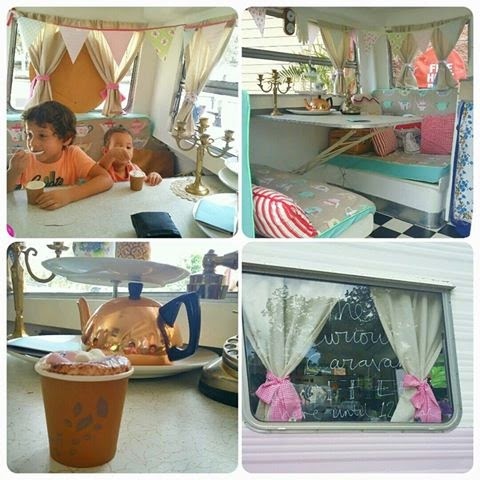 This morning we had the pleasure to met the Curious Caravan and it's owner Naja, the caravan is just a darling it's white and soft pink with the most gorgeous vintage décor the buntings, the good coffee and good conversation was just a delight. 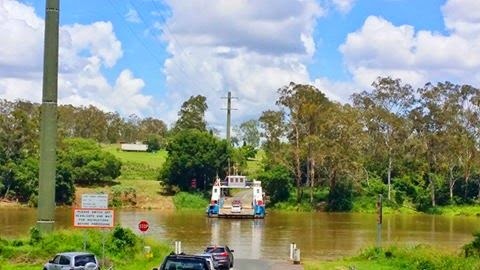 Once we left the produce store we decided to go for a drive and next thing we knew we were in Moggill, the munchkins were screaming that they wanted to go on the ferry, so off we went to go on the ferry, destination no-where. 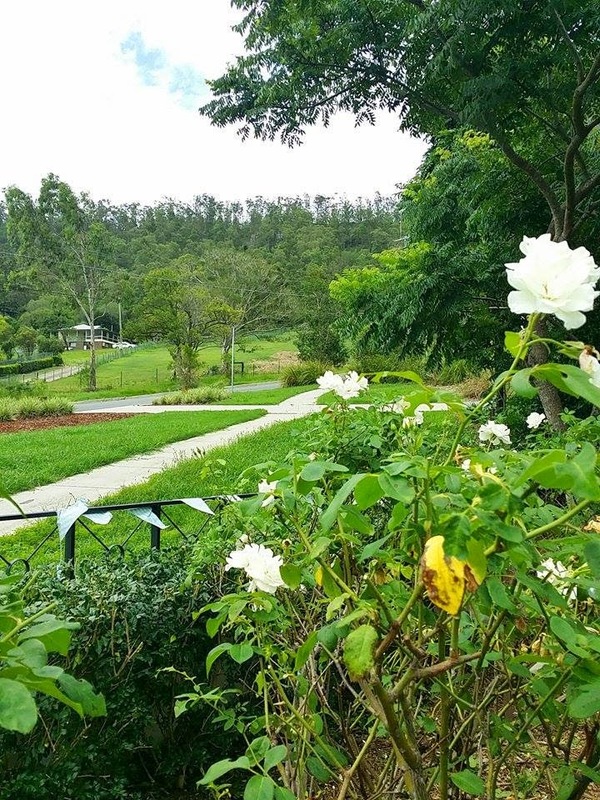 We got off the ferry and drove around and we ended up at Mt Crosby and back to Brookfield. The munchkins fell asleep on the way home it was a great opportunity to pot around the garden without little feet at the bottom of my skirt, Our front rose garden is looking a bit sad partly from the heat and partly because I haven't been out to attend to it because it is too hot. Well it's that time of the day where I must feed some hungry people around here, we had a lovely day of just exploring the great south east, I wonder what tomorrow will bring. My name is Karla. 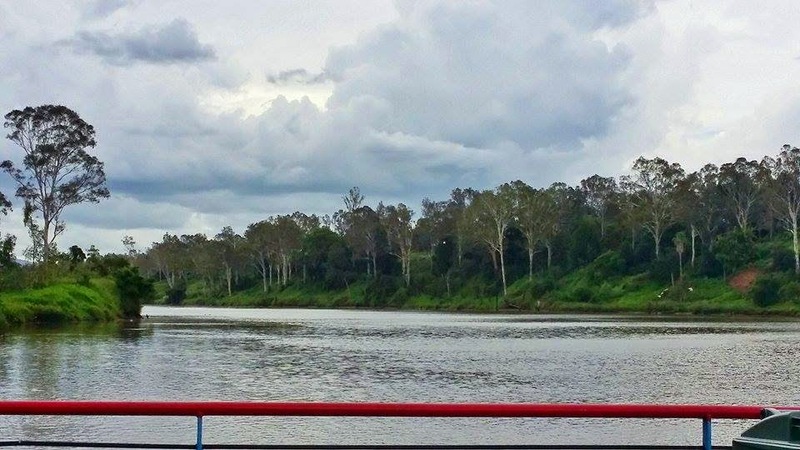 I live in Brisbane. I am a mother of two beautiful boys and a gorgeous girl also the wife of my wonderful husband. 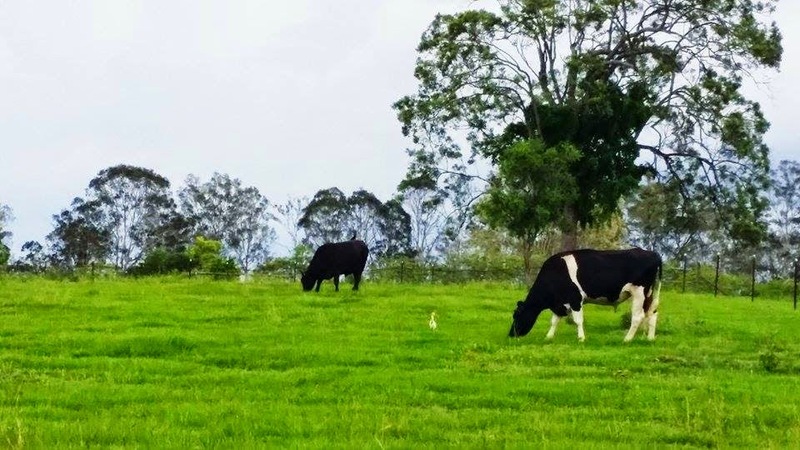 As a child I spent a lot of time in the countryside and my husband grew up in a farm. It was wonderful for both of us to experience the simplicity in life. We are now trying to re-create a similar experience for our children. We have chickens and a vegetable garden, we also love the cottage shabby chic style and have been working hard to turn our city home into a cottage retreat...we are forever working in our cottage garden and I am mad for all things vintage! I love unique furniture and pieces that tell a story. For the last few years I have been restoring and upcycling old furniture and making it my own and I am truly madly in love with all this cottage and white paint, I would literally paint anything and everything white. Copyright WhiteCottage 2011. Simple theme. Powered by Blogger.